I find images to be a wonderful tool to find details, that would be missed otherwise. Images are far less manageable than words it seems, so a press release might be a much better way to carefully transmit the story you wish to tell – but I might be wrong on that and maybe that needs more thinking. Still, I am amazed by small details I discover that seem to tell a bigger story. I found the first two screenshots in a video that has been released by a group that belongs to the Afghan Taliban and the way the fighters pose in these images is very different from what you get through official ISIS channels. Pink seems to be quite a fashion statement and not only is it a suitable color for your cloths or your cap, but also you Kalashnikov might benefit from some glitter. 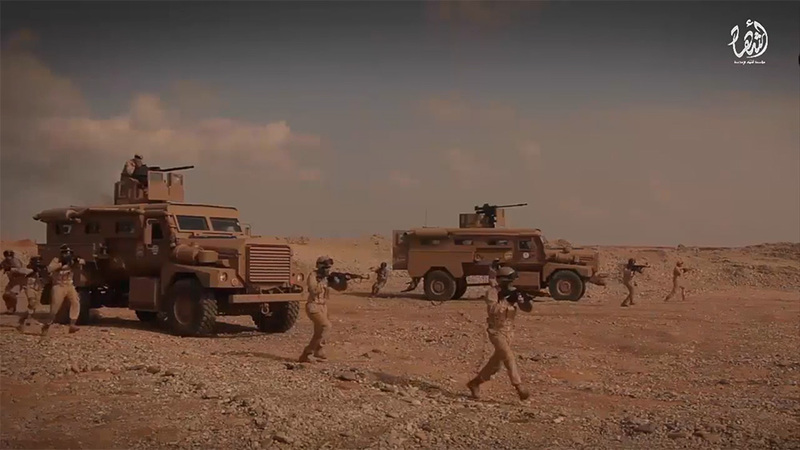 On the other hand, ISIS fighters quite often try to imitate actions seen in western (AKA US) propaganda videos and movies. Sure, you will also see ISIS fighters wearing more traditional clothes, but for the sake of my argument, I am going to stick with the two images above. 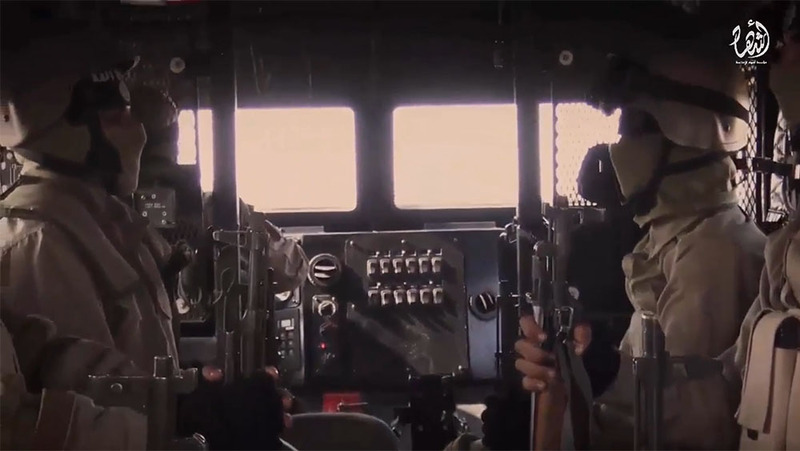 In these videos, ISIS tries to look more western than any western military ever would. But to me, the difference between the two sets of images, tells another story as well. 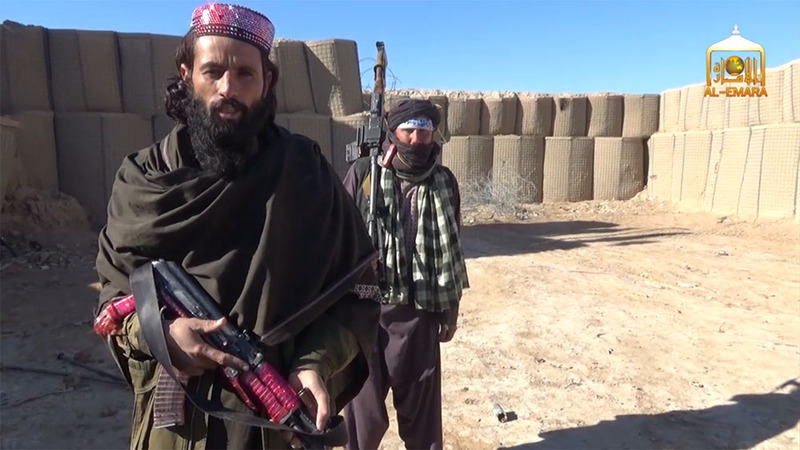 Sure, choosing pink might be something cultural and I am quite sure, that in the view of these Taliban fighters, this color is extremely suitable for its purpose. But it also reveals that they – in contrast to the fighters in Syria and Iraq – are quite detached from our media world. I mentioned this in an earlier blog entry, but it is worth repeating myself. It seems to me that for some time, the Taliban were struggling to keep up with ISIS and its affiliates in the media war. One one hand, access to the Internet is much more difficult if you are living in the remote mountains of the Hindukush than if you are fighting in the Levant. But more importantly, I would argue, that has to do with history. There are remote areas of Afghanistan and Pakistan, where radical Islam was the law of the land for the past decades and where media access therefore had been strictly limited. So the fighters in these videos never “learned” what the color pink might represent. The same might be true if it come to the “right” way to express your masculinity. In a way, the media war fought in the middle east is a very western dominated one. Even though the underlying moral structure might be very different and even though the west is considered the root of all evil. It is the root for the common media language as well. But of course, once you look beyond official media channels, things break apart. But you can not control every image that ends up on Facebook, even if you are the ones you believe god chose to create his kingdom on earth. … but we have to be careful, when looking at such an image. 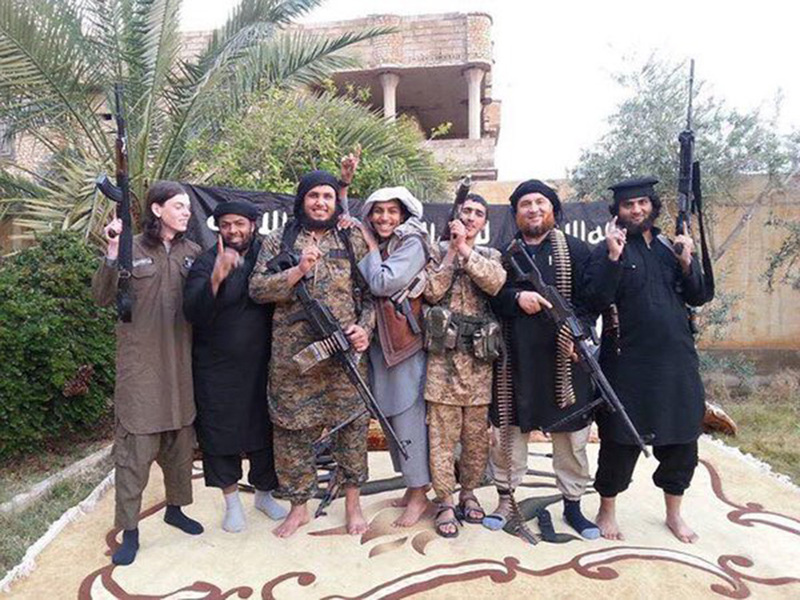 The guy on the far left, an Australian, was 18 when he blew himself up in a suicide attack.